Really good film! Great script from Aaron Sorkin, and solid performances all around. I haven't enjoyed very many sports movies over the last few years. And when you target baseball as the sport, my expectations were even less cause baseball is a fairly boring sport to showcase in a movie. But this movie is much more than just about baseball, it is a movie about business ideas and going against the norm, to prove something. Jonah Hill would never have been my choice for the role of Peter Brand, but after seeing the movie, he does a decent job. This movie was interesting to watch, and may not be the best the movie of the year by any means, but is worth watching once. While baseball does figure in the the whole scheme of things, this is not so much a sports film as a drama that happens to feature baseball. 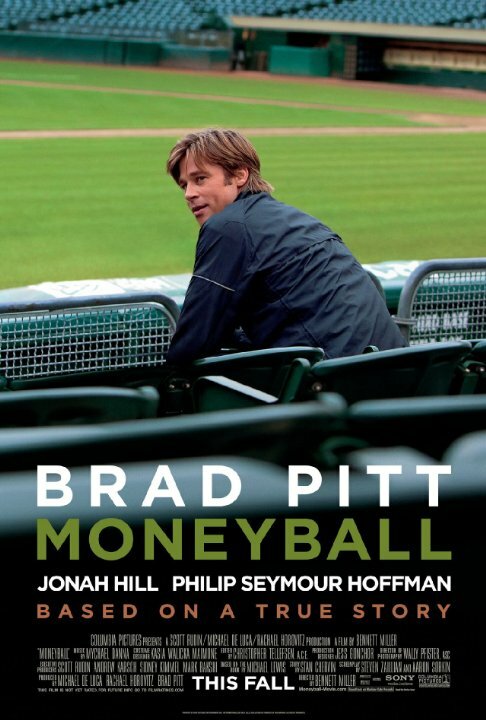 Jonah Hill can pull off drama, Brad Pitt and Philip Seymour Hoffman are likewise well cast and the story is a great watch even for people who hate baseball. Except of other baseball-movies, you don't have to know the rules of baseball in this one. The movie focuses more on the part of the club behind the baseball field. Good idea! No posts have been made on this movie yet. Be the first to start talking about Moneyball!